The new Brewongle! 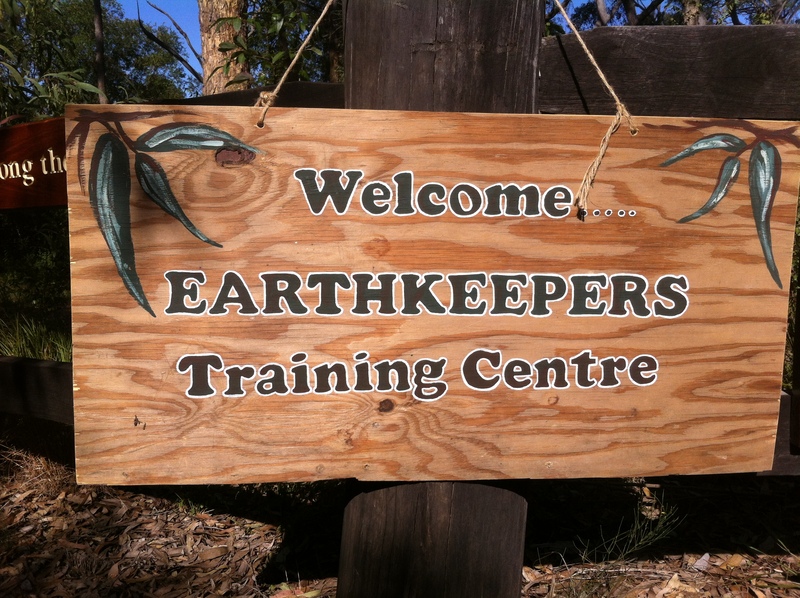 An Earthkeepers Training Centre. 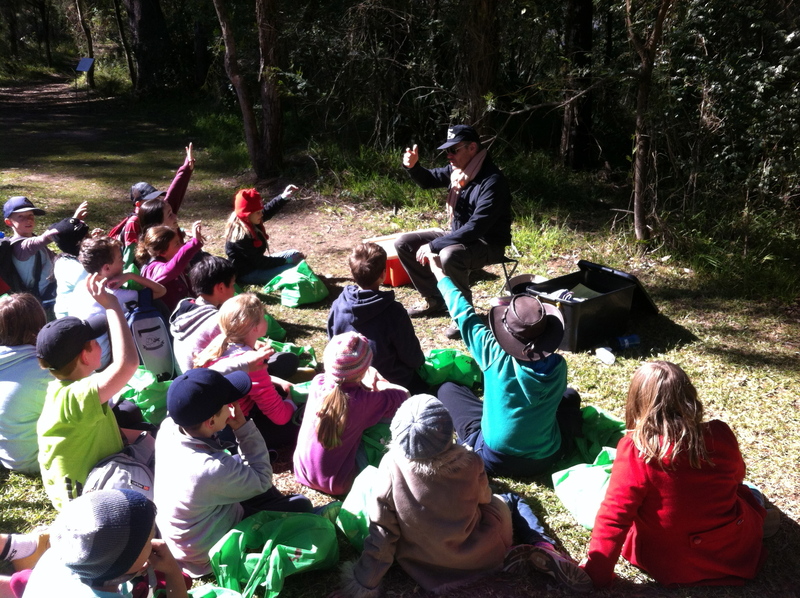 On day 2 we followed the bush walking diary of E.M. and discovered the hidden treasures of the myrtle forest. An eagles nest was spotted at the top of an old blue gum and some rainbow lorikeets were nesting in a cosy tree hollow. 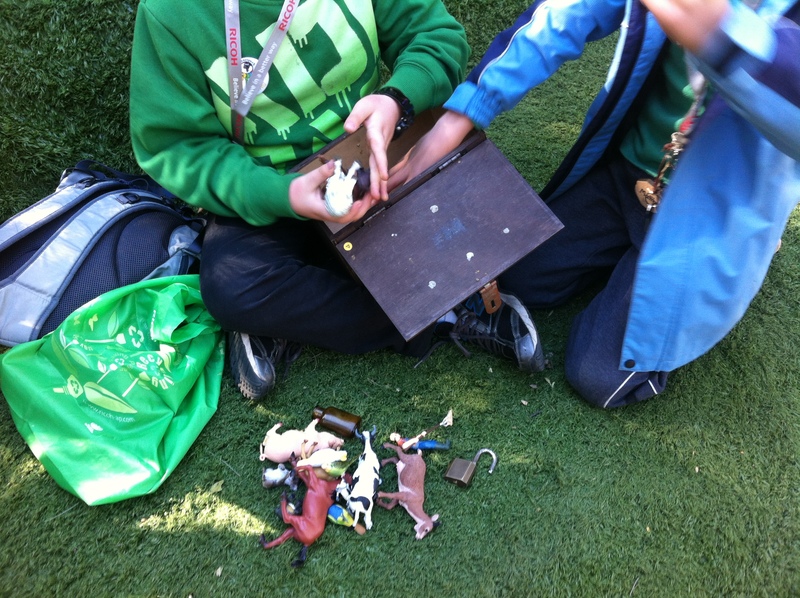 Students also discovered the interconnected nature of living things and how the earth has changed over time. They decided that they could in fact be drinking a ‘speck’ of water that had passed through a dinosaur! 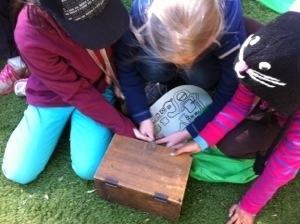 Opening a time capsule with the newly acquired ‘K’ key. 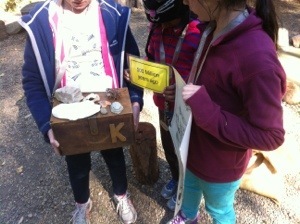 We now have many apprentice Earthkeepers who will continue their training back at school. Good luck in attaining your Y and S keys! 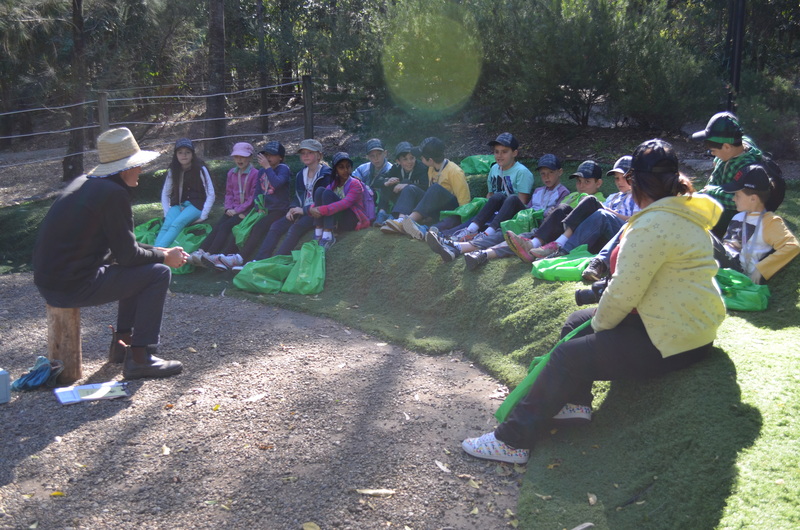 We were so impressed at the skill and learning of the students and their ability to now look after our planet in such a wide range of ways. 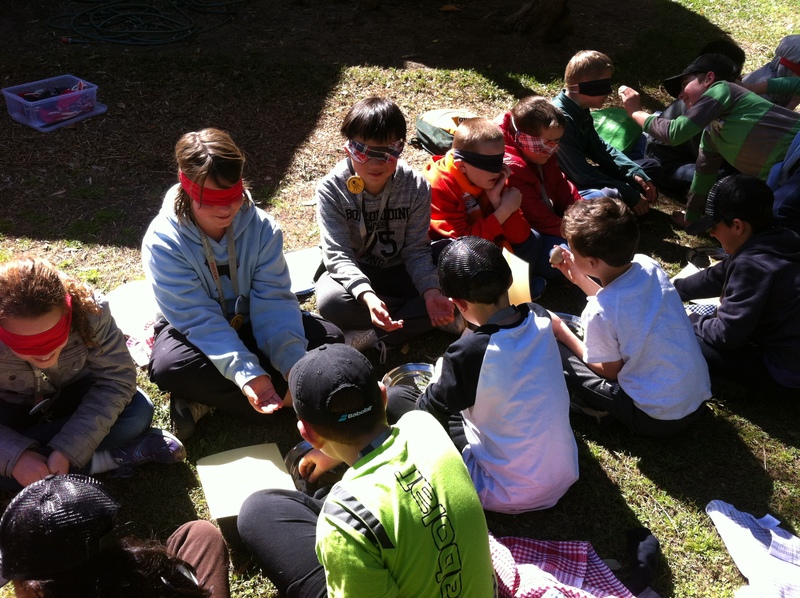 One of the favourite activities amongst the students was the ‘magic spot’. 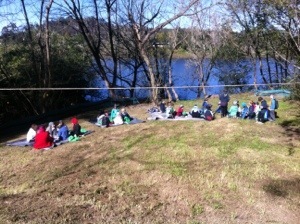 This activity involved students sitting quietly in the bush for 45 minutes. 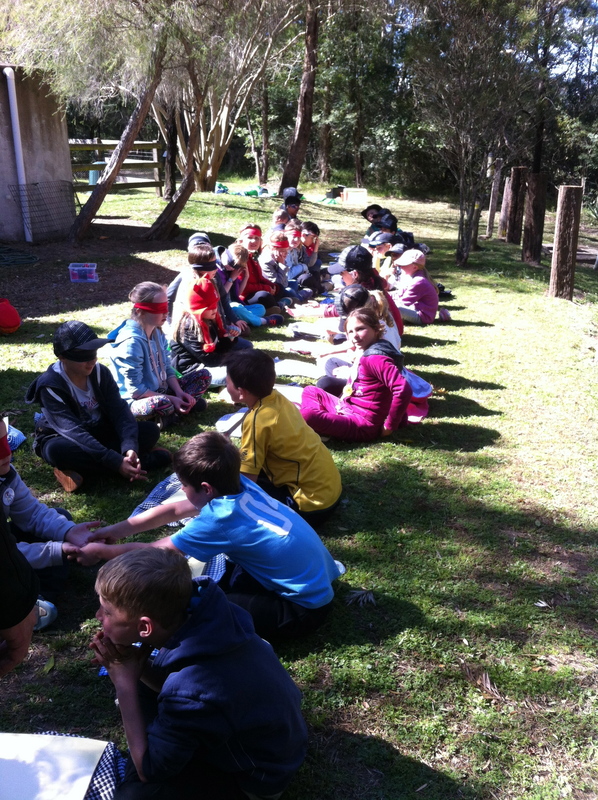 I was surprised at how much they all enjoyed it – and pleased too. 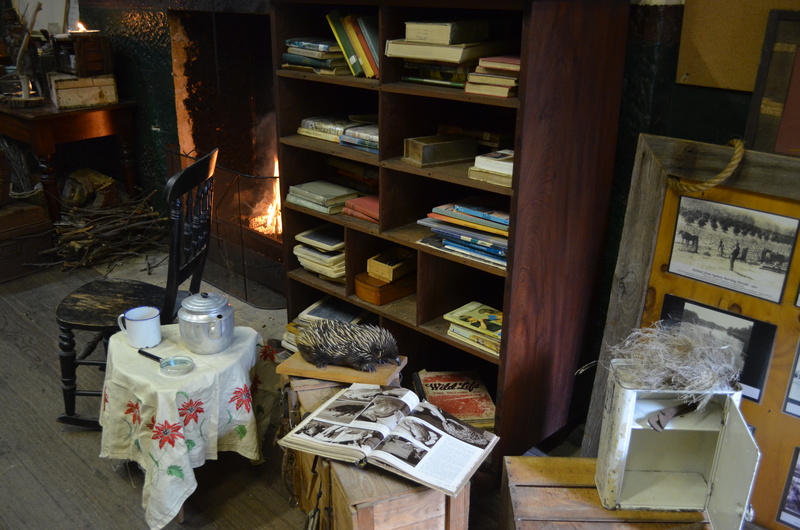 May be that in our over stimulated world a bit of downtime is one of the most important things…. 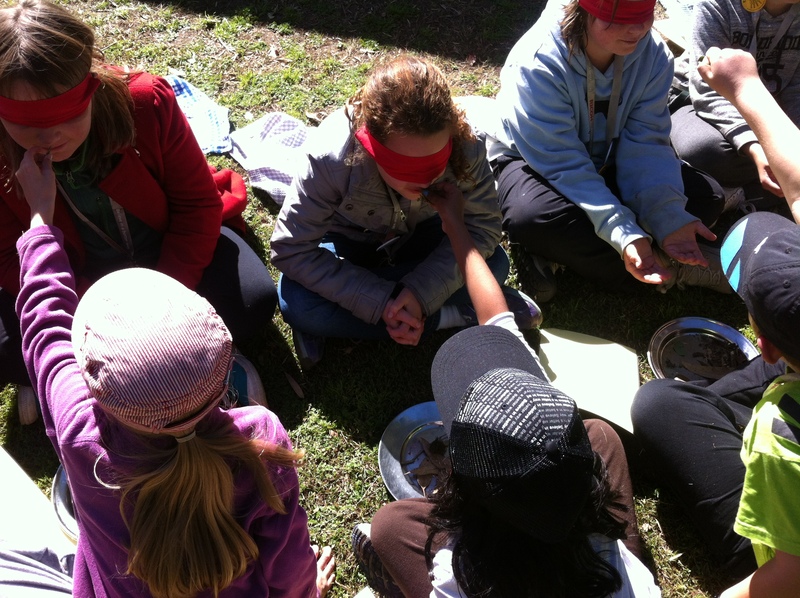 Students providing a sensory experience to their peers. What a great program. 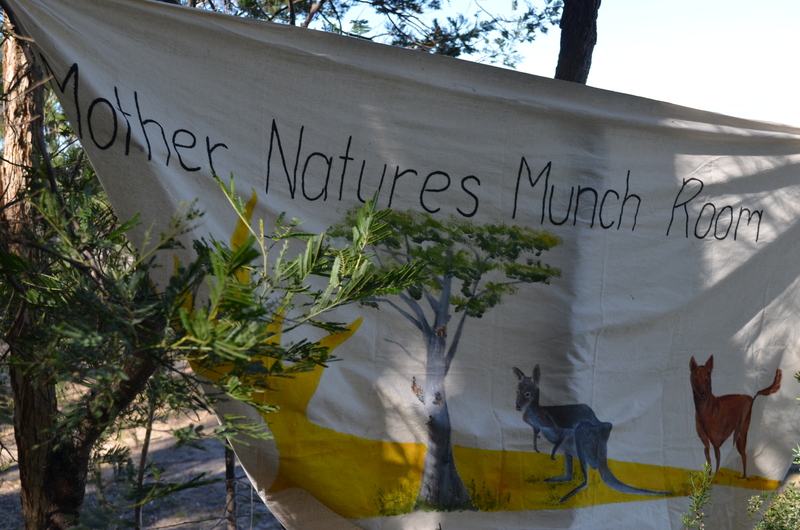 Did Earthkeepers some years ago on the coast and it was a fabulous program. 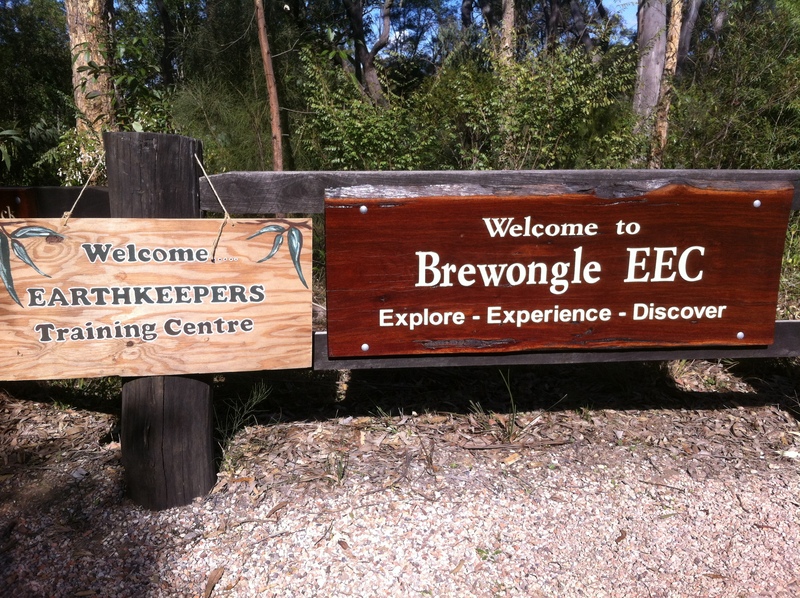 Thanks for your comment – Earthkeepers is new to us this year too but we will be offering it into the future – with a slight ‘Brewongle’ feel! We thought it was an excellent program too – the students love all the mystery and ceremony and we were impressed with their knowledge by the end of it. Looks like a great day. 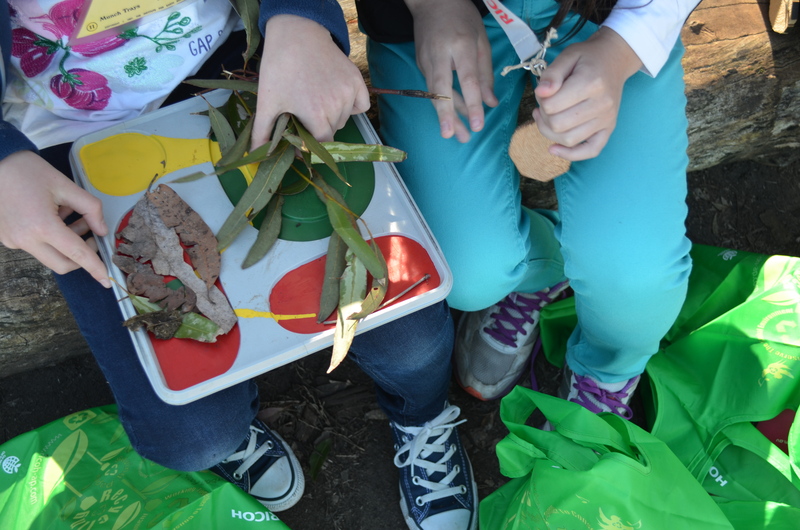 We need more citizens like the students of Boronia Park! Thanks Damien – it was a great program.